Warranty covers the failure of adhesion of the Primer or Finish Coat, to the original Customer, during normal residential use for a period of 10 years from the date of work performed, provided the Customer has maintained the surface as recommended. Warranty covers ONLY owner occupied housing (Non-Rental). Any scratching, deterioration of the glossy finish or staining over time due to usage, cleaning practices or water conditions will be considered to be normal wear and tear. Normal wear and tear is not covered under this Warranty. For the first two (2) years the repairs are made FREE OF CHARGE. During the remaining of the warranty period, there will be a charge of 50 % of current cost for the required service. Please note, non-payment of any portion of the amount due for the work performed will void this warranty. 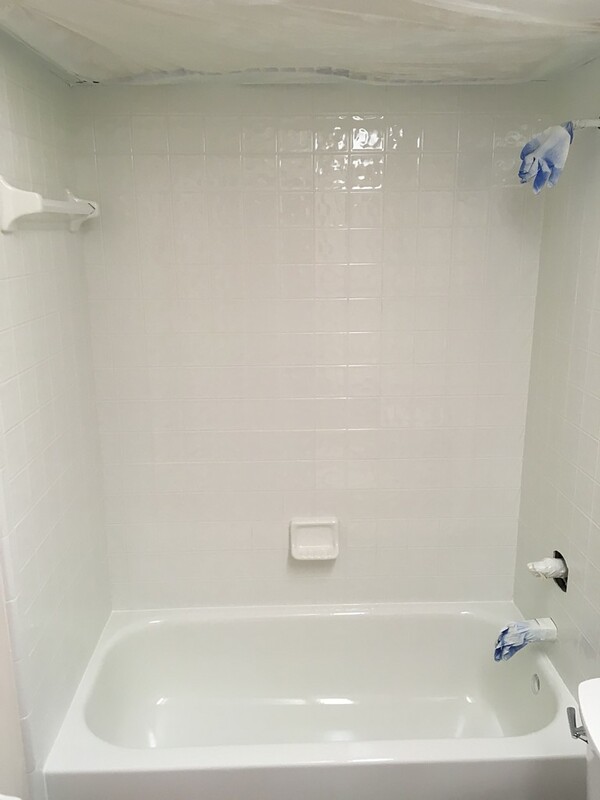 Customer is responsible for cleaning the bathroom before the refinishing job, including the bathtub, surround walls, and ceiling, especially if the bathroom is under construction. This will decrease the chance of any dust or particles landing on the finished coating. We cannot prevent dust from settling onto the newly refinished surface, as we are not working in a 100% dust free environment. Regular cleaning will remove or make the dust particles less noticeable. Customer is responsible for the removal and/or repair of any excess dust or particles that land on the finished coating after the refinishing job has been completed. 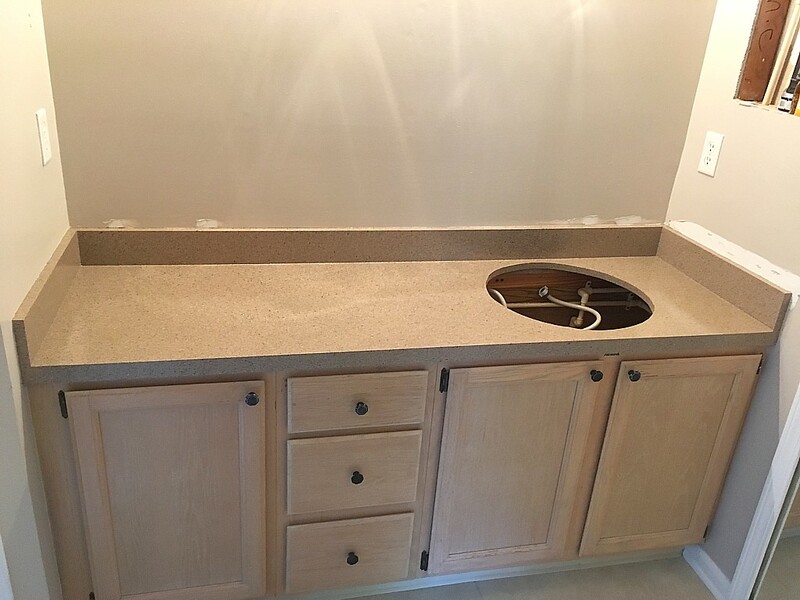 Countertop coverage does not include laminate lifting off the substrate or backsplashes separating from the countertop. Due to the composition of the Multispec material, final application pattern may not match sample exactly. Items NOT covered under Warranty: floors; sinks, tubs/showers with (pre-existing) rust or corrosion; spot or chip repairs; soap holders; nor refinished products in Commercial or Rental Properties. Any damage caused by direct impact from an object that caused the surface to chip or crack, either accidentally or intentionally, is subject to repair charge. Never use abrasive cleaners on any refinished surfaces (SOS pads, Comet, Ajax, Tilex, Soft Scrub, or scrub pads). Avoid cleaners that contain Bleach, citrus or any type of abrasives. 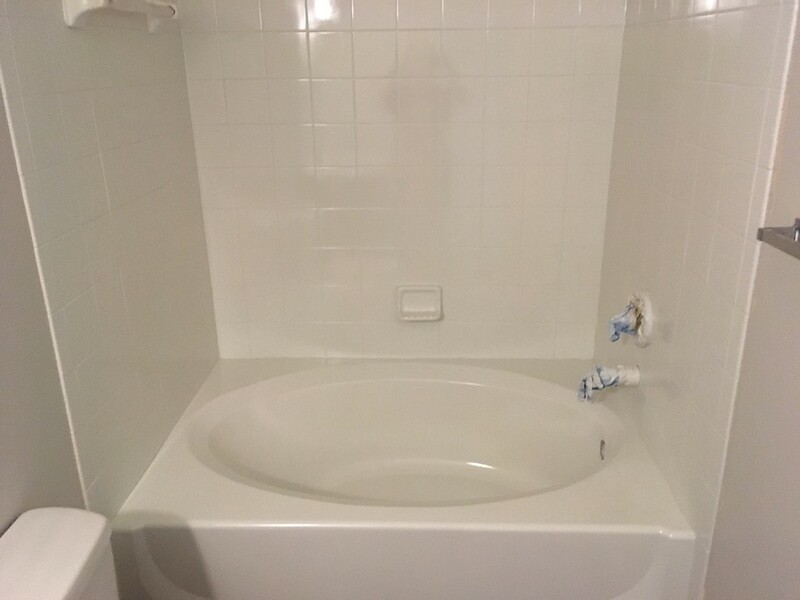 It is the customers responsibility to maintain caulking where refinished tub meets tile walls. Customer is to repair continuously any leaking/dripping faucets. Please use caution when entering and exiting your tub or shower. Perfect Refinishing LLC is not responsible for any slips, falls and/or accidents. Finish needs 24 Hours to cure in Bathrooms. Customer is responsible for removing all of the masking and tape from the walls after 24 hours of completion of the refinishing project. Recommended Cleaning Agents: Dawn dishwashing liquid, Formula 409 All-purpose cleaner, and Simple Green are the cleaning agents that we recommend. Use a soft sponge. No drain cleaners on refinished bathtub surface! Abuse, Misuse, Improper Cleaning or accidents will VOID All Warranties!